rate for the first quarter of 2013 was 8.0%; 10 basis points above the prior quarter and 380 basis points lower than the national average of 11.8%. Class A office space vacancy remained unchanged from the prior quarter at a rate of 6.3%. Class B office space reported a vacancy rate of 9.3% which is a 30 basis point increase from the prior quarter. Class C office space increased by 10 basis points to a rate of 7.3%. As expected from the ascending vacancy trend, the average asking price per square foot dropped 1.4% to a rate of $18.49. Learn more about the Pittsburgh Investment Market. Colliers International | Pittsburgh is pleased to announce that 8,500 SF in lease transactions have been completed at Indigo Square in the East End of Pittsburgh. Anthony Pantoni of Colliers International | Pittsburgh, leased 2,200 SF at 6023 Broad Street to Peace, Love & Zen Holistic Wellness Center. The property, which formerly housed a bakery, has recently received complete exterior renovations. 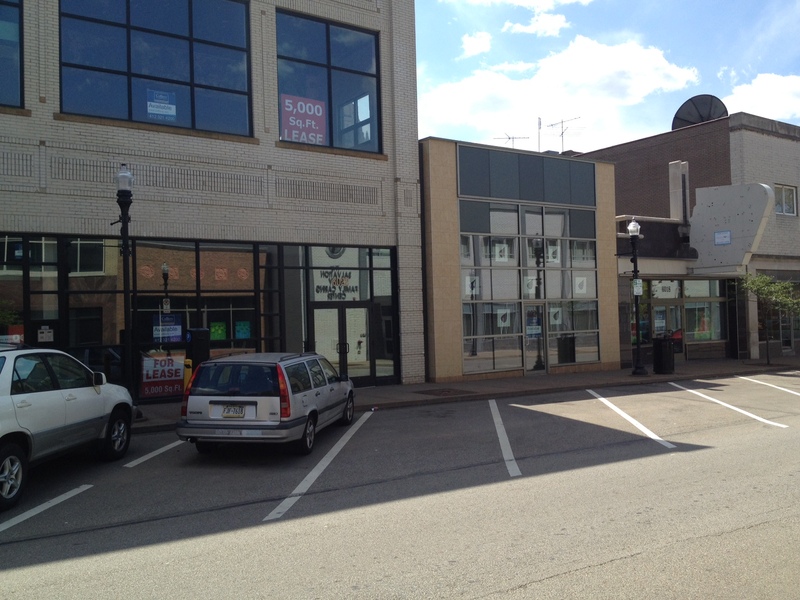 Pantoni represented the landlord, The Wedgwood Group, in the leasing efforts of the property. Peace, Love & Zen Holistic Wellness Center offers a variety of alternative choices for healthy living. The wellness center features a Himalayan Salt Cave for clients with upper respiratory problems, an Aquascape Zen Bed – one of only four in the United States, massage, acupuncture, as well as other services to help clients get and stay well. Colliers International | Pittsburgh is representing approximately 105,357 SF of office and retail space on behalf of The Wedgwood Group in the four block area of Indigo Square. For more information on these opportunities contact Paul Horan, Founding Principal, or Mark Anderson, Vice President of Retail and Office Brokerage at Colliers International Pittsburgh at 412 321 4200. Brad Kelly, Director of Retail Services and Michelle Stewart, Retail and Office Brokerage Specialist at Colliers International | Pittsburgh, have successfully represented Washington, D.C. based developer Nigel Parkinson, with the lease of 6,300 SF of first floor retail space at 215 North Highland Avenue to four new retail tenants. The building features a newly renovated exterior faċade, updated mechanicals, large open floor plan and dedicated parking, with 6,500 SF of first floor retail space still available for lease, along with 20,000 SF of second floor office space. Joining the First Niagara bank branch at 215 North Highland Avenue are tenants that include olive oil and balsamic vinegar retailer Olive & Marlowe, who is moving from the Pittsburgh Public Market in the Strip District to a 1,500 SF retail space. An independent fashion boutique, owned by Kiya Tomlin, wife of Pittsburgh Steelers head coach Mike Tomlin, has secured 1,000 SF of retail space. A new business spinning out of Splash, Luxe Home & Design, an upscale kitchen and bath design showroom owned by John Nicklas and Brent Hugas, is expanding its business operations that already exist in Cranberry and Murrysville, to include a 2,500 SF showroom. The new Luxe store will open this summer at Indigo Square. Hugas and his wife Jeneane will also operate Chemistry Clothing in a 1,300 SF retail space at 215 North Highland Avenue, featuring designer apparel for men, women and small children. Colliers International | Pittsburgh is pleased to announce Luke Hingson, Investment Services Specialist, has been appointed Co-Chair of the Urban Land Institute’s Young Leaders Group (YLG) Steering Committee. 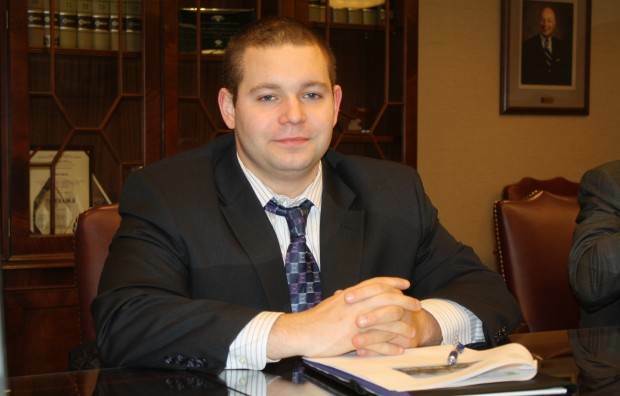 He has been actively involved with organization since 2008, and as Co-Chair of the YLG Steering Committee, has assisted the organization with re-emerging as one of the most active real estate organizations in the Greater Pittsburgh Area. As Co-Chair, Luke is responsible for coordinating ULI sponsored events as well as sponsorship and member recruitment. Luke’s leadership position with the ULI provides a networking platform to expand his relationships with professionals in Pittsburgh’s commercial real estate community.